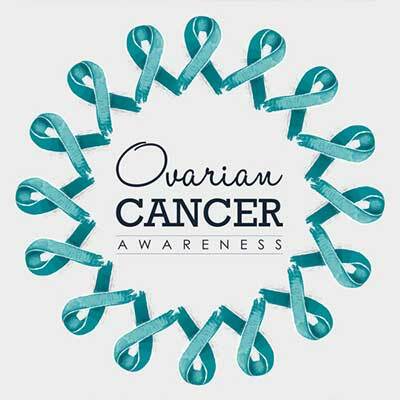 September Ovarian Cancer Awareness Month - Women's Cancer and Surgical Care, P.C. It is estimated that 1 in 75 women will develop ovarian cancer during her lifetime. September is Ovarian Cancer Awareness Month and, as always, we want you to know the facts. When it comes to cancer there is always some bad news. But even if it seems grim, Women’s Cancer and Surgical Care knows the importance of being as informed as possible. Knowing the signs, symptoms, and risk factors could save your life or the life of a loved one. Take the time to learn during Ovarian Cancer Awareness Month. Our best advice is to take action, not chances. See your doctor immediately if you experience any changes in regards to the symptoms listed above. Because early detection is perhaps the key component of beating ovarian cancer, any effort toward that is time well spent. If you or someone you know is at a heightened risk, it is even more important for you to take quick action if symptoms develop. Ovarian Cancer Awareness Month is the perfect time to check in with yourself, friends and family to make sure everyone knows that facts. Please contact Women’s Cancer and Surgical Care if you have any questions as we continue to be your partner in the fight against cancer.